Hunting for Appalachian Apples? 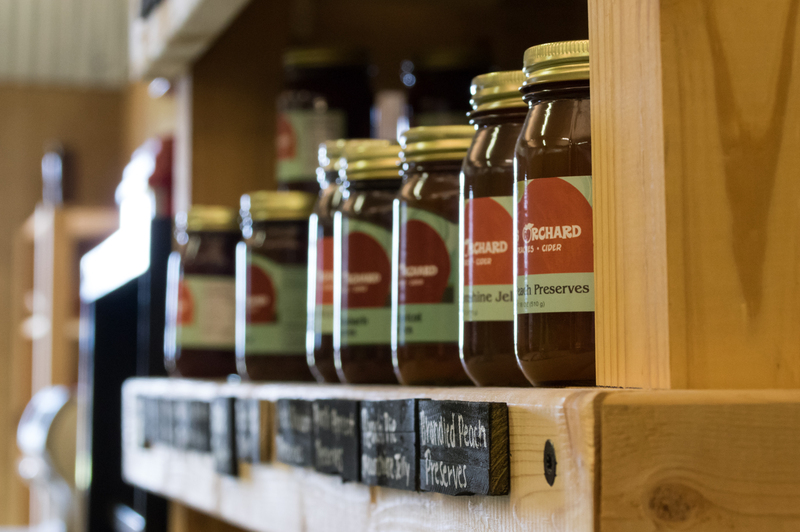 Head to Scott’s Orchard! Crisp, juicy apples from the Appalachians are a sure sign of fall. When I was a kid, every fall we’d load up and drive several hours to the Blue Ridge Mountains to get bushels of apples for canning and winter eating. Instead of heading to the Blue Ridge Mountains, however, fall foodies can travel to Huntsville as their new fresh-fruit destination. 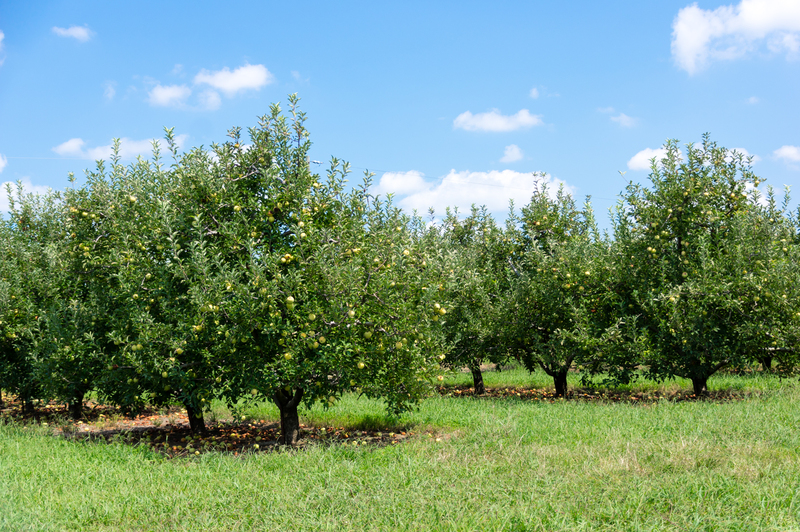 Madison County’s very own Scott’s Apple Orchard has been continuously serving our area with fresh fruit and vegetables since 1901 and spans 1200 acres along the Tennessee/Alabama border. 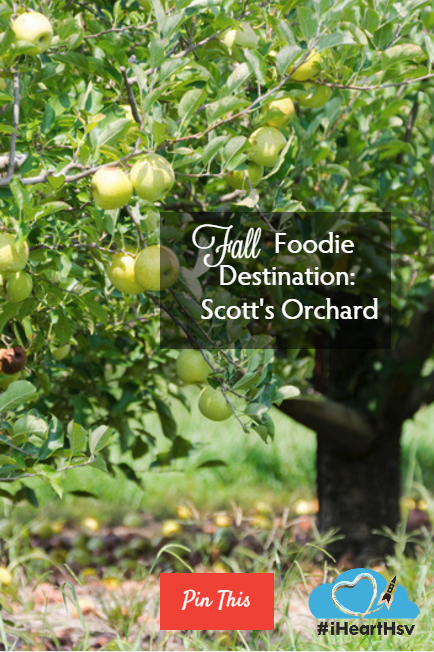 Scott’s is the largest apple orchard in Tennessee with 90 acres in apples. 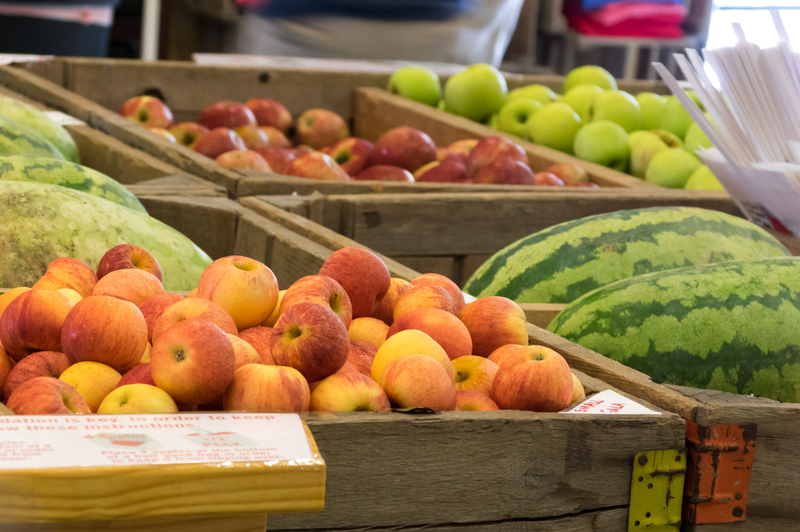 Fall apple season is September through December, and their Alabama farm store offers apples, cider, vinegar, caramel and candied apples, honey, preserves, molasses and divine apple slushies along with a few other seasonal crops like winter squash and sweet potatoes. 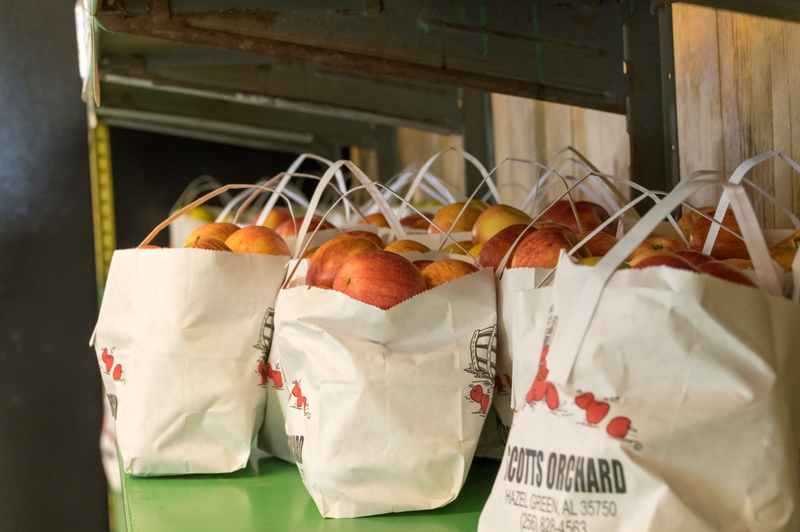 Scott’s Orchard grows 17 varieties of apples, some of which never appear on grocery store aisles. I got Fuji to snack on this weekend, but I’ll have to wait until deep in October to get my stash of Arkansas Black for winter eating. 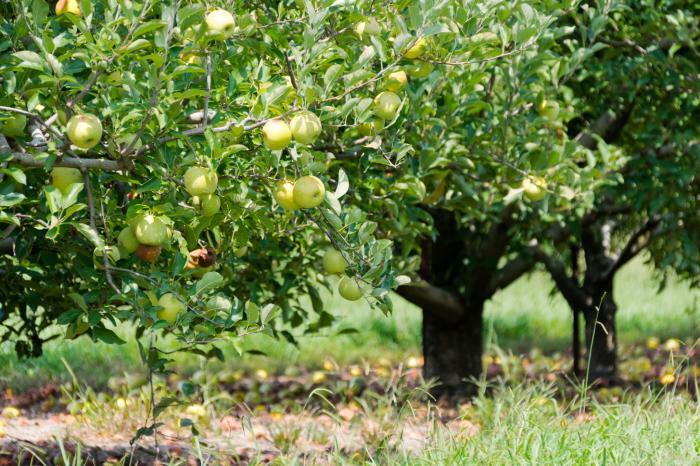 Curious how an apple farm operates? This year Scott’s Orchard is offering farm tours and the chance to pick your own apples. Sign up in advance on their website to hop on their farm wagon and see “backstage” at the orchard. Scott’s Orchard is located about 40 minutes north of downtown Huntsville at 2163 Scott Road, Hazel Green, AL 35750, and is open Monday through Saturday 7 am-5 pm and Sundays 1-5 pm now through December. Phone: 256-828-4563. Have another favorite local fall foodie destination? Add it in the comments below!